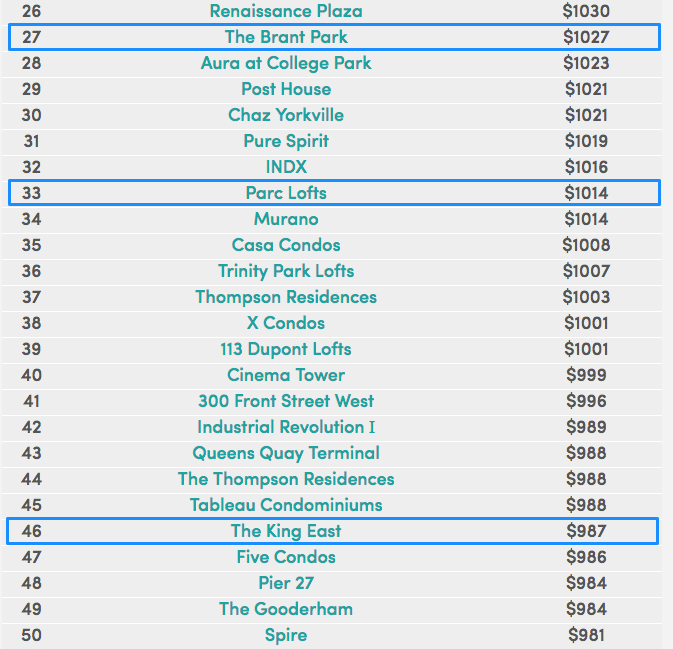 Five of our last five buildings are on the list of Toronto’s 50 Most Expensive Condo Buildings. 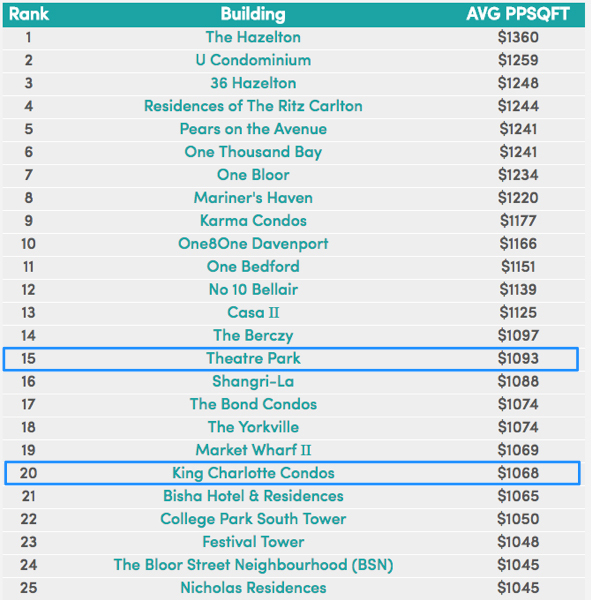 They are Theatre Park, King Charlotte, Parc, Brant Park, and King East. Keep in mind there are hundreds of developers and thousands of buildings in Toronto. Lamb Development Corp’s buildings are not designed to be in the high-end market. Our buildings are also all downtown not ensconced at Bloor or in Yorkville. They are just so well designed they end up being valuable and desirable. Here’s the full list of fifty.